Portable generators are great to have when the power goes out. But when using a generator, there are three dangers that you need to know about in order to avoid them. They are electric shock, Carbon Monoxide poisoning, and fire. When using a generator there is a chance of getting electrocuted. Make sure to keep your generator dry and if it rainy or wet don’t use. 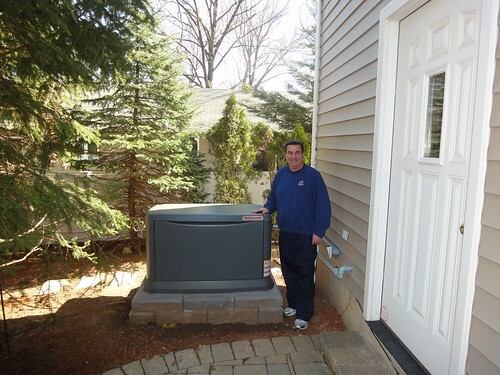 Operate your generator on a dry surface under an open, roof-like unit. Don’t touch the generator unless your hands are dry. Carbon Monoxide (CO) poisoning occurs when you inhale your generators toxic exhaust. Most important, is to never use a generator indoors. This includes: inside your home, garage, basement, crawl space or any partial or enclosed area which is connected to your living space. Using a fan, or opening windows and doors is not enough to prevent CO build-up. Finally, preventing fires while using your portable generator can be done easily. Propane, gasoline, kerosene, and any other flammable liquids should be brought outside for storage. All containers should be properly labeled. Don’t store fuel near any fuel burning appliance like a gas water heater. Invisible fumes can move along the ground if fuel is spilled. It can then be lit by the appliance’s pilot light. Lastly, turn your generator off and wait for it to cool down before refueling. Spilt fuel could ignite on a hot engine.